Small Business and HR: What You Don’t Know WILL Hurt You! Business is the backbone of our economy. With over 20 million small businesses in the United States, more and more people are pursuing the American dream by starting their own companies and marching forward to become integral parts of the community—providing goods and services that we need. 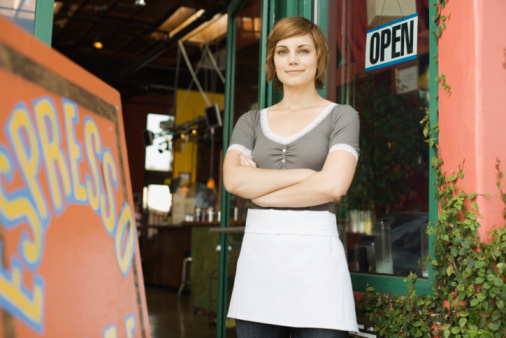 With the recent economic recession, there has been a surge in people taking the leap to open their own business. By working day and night, tirelessly building their businesses one step at a time, many entrepreneurs succeed in turning their dreams into viable companies. When this takes place, business owners look to expand their companies by hiring employees. Making the leap to hire employees can be a tough decision—by hiring employees, the financial and legal risks increase—but without expanding the team, it is difficult for any company to grow. Most small businesses do not start out with an HR department and are not exactly sure of all the legal responsibilities that come along with employees. Sometimes, an oversight during these crucial times can put an employer at risk of future litigation from disgruntled employees. Does your new small business have an HR department? According to the US Department of Labor, lawsuits related to the Fair Labor Standards Act have risen by over 35% in the past three years. This is only one area related to human resources where companies can be sued. Whatever the motivating factors of these lawsuits, whether the blame is put on the economy, companies, or the employees, the fact is—lawsuits against companies by their own employees are on the rise. Whether or not these cases are founded is up to the judge or jury to determine. Most companies hire employees with the intent of treating them fairly and paying them a wage to help support their family. Companies expect employees to contribute their time and improve the company’s performance. In turn, employees are offered jobs and financially compensated for their labor. Business owners work tirelessly to start their companies, getting them to the point where they can create jobs and hire employees. We recognize that it takes a lot of work to get to this point, and most companies hire with the best of intentions, but it is not enough to claim ignorance of human resource laws. The problem is: what you don’t know will hurt you. The court assumes that if you are able to start a company, you should know the laws that regulate it. Unfortunately, this is not realistic. All business owners understand their niche and are able to fulfill it better than the rest. They work long hours, investing time and money, and they simply do not have time to study corporate law in the evening. The few precious hours they have to take time off are spent with family and friends—and rightfully so. However, it’s important that you have your HR process in order prior to hiring your first employee. There are many HR companies and attorneys that can help you adhere to constantly changing regulation changes. Whether you decide to have an in-house HR team, outsource all the management, or bring on an attorney, human resources is one of the most important aspects of your business. You want to ensure that as your company grows, you and your dreams are protected. Whether you’re reviewing advertisements to hire employees, ensuring there is nothing discriminatory in the announcement, or reviewing employee offer letters and contracts to ensure adherence to the law and the company’s protection—don’t decide to “figure it out as you go.” Have a plan of action and know exactly how you are going to handle new employee HR tasks. Does your small business have its own HR department? Or do you outsource? I often think about hiring my first employee. On one hand I don’t really make enough money yet, and on the other hand if I had some help I’d get a lot more done. It’s a tough call at first, but some day I will do it!